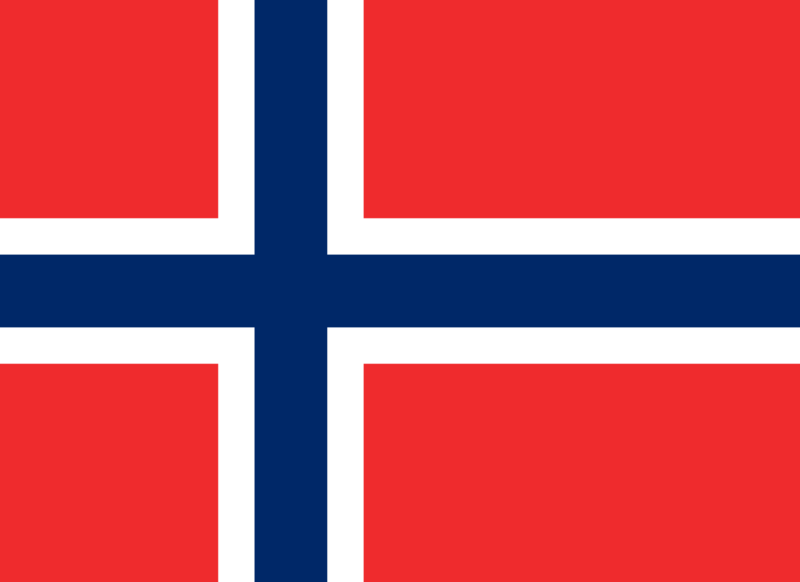 * Students have the possibility to study for two years at the RBS campus and then move to the Bi Norwegian Business School campus for their final year. ** The schedule is tentative. 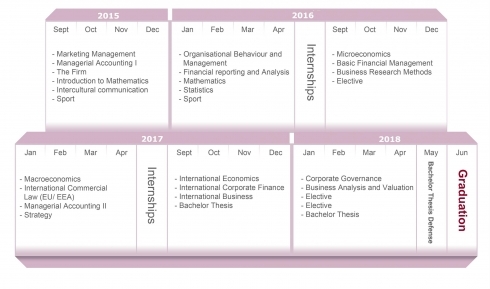 Riga Business School reserves the right to change the program structure, faculty resources and the course descriptions. It is one of Europe's largest business schools with around 20,000 students and 340 permanent faculty. BI participates in two of the most renowned rankings for business education, the Financial Times Ranking and the Eduniversals Top Business Schools Worldwide. 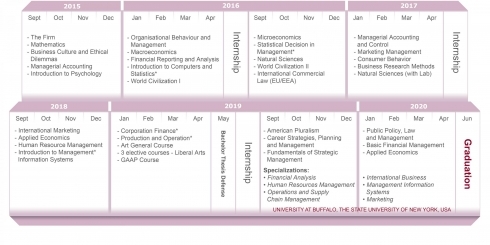 * These courses will be delivered by professors of the University at Buffalo School of Management, The State University of New York, USA. 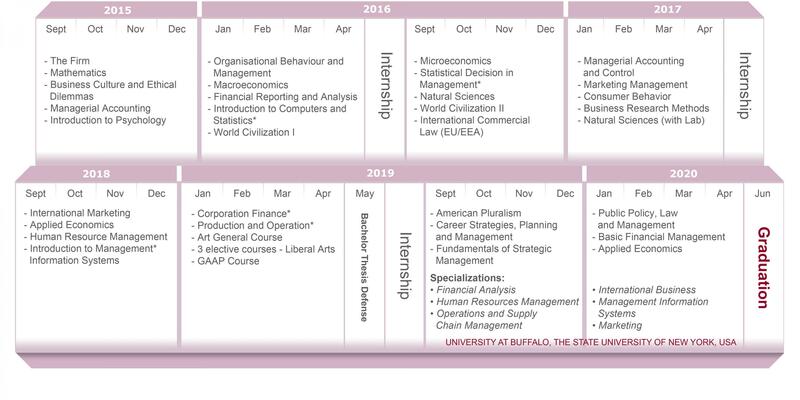 ** Students have the possibility to study for three years at the RBS campus and then move to the University at Buffalo School of Management campus for their final year. *** The schedule is tentative. 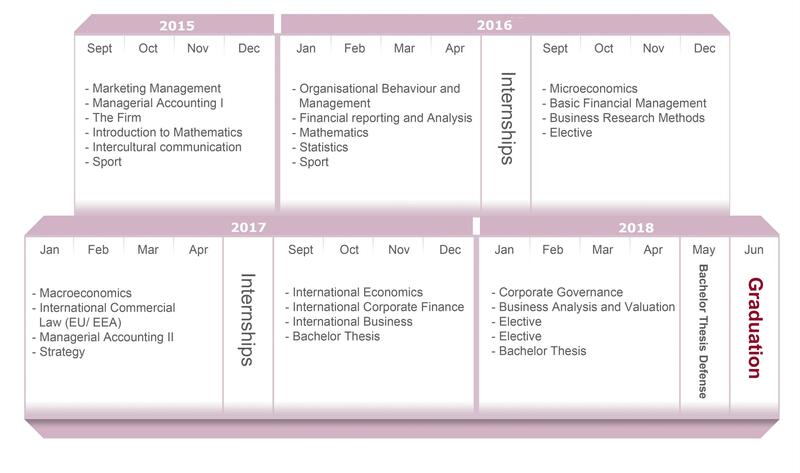 Riga Business School reserves the right to change the program structure, faculty resources and the course descriptions. A flagship institution in the State University of New York system, UB is the largest and most comprehensive campus in the 64-campus SUNY system. It is a member of the Association of American Universities. Well-ranked in The World University and U.S. News rankings. (176th place by THE World University Rankings 2013-14). 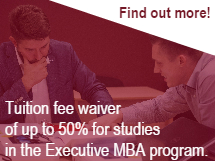 The school's program is accredited by AACSB International - The Association to Advance Collegiate Schools of Business.